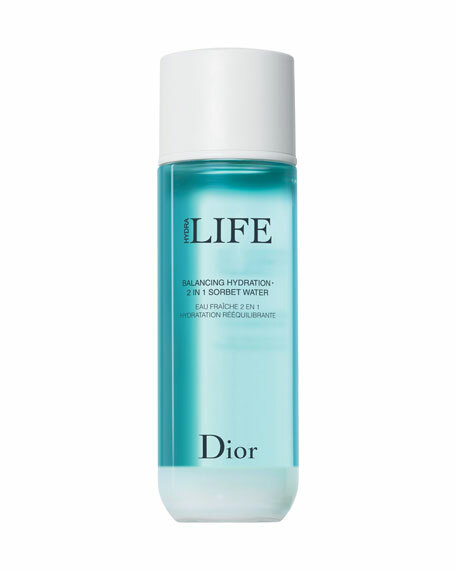 Dior LIFE Sorbet Water, 6.0 oz. 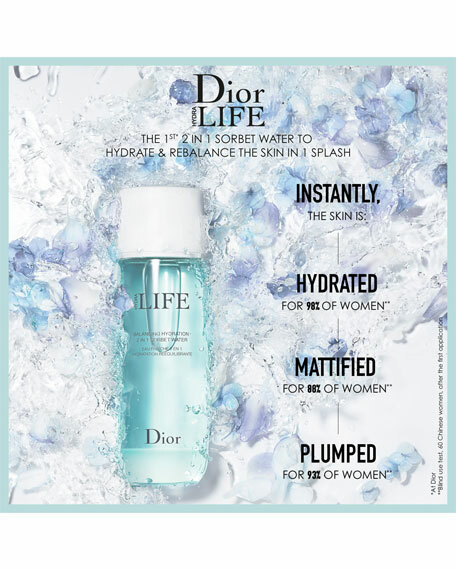 DiorLIFE Sorbet Water, 6.0 oz. 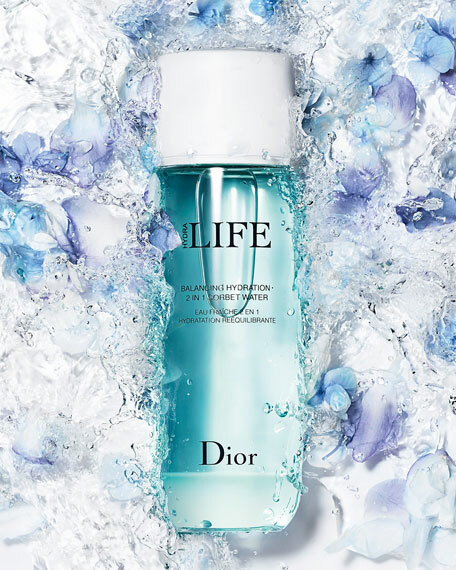 A floral toning lotion infused with a prebiotic that helps simultaneously hydrate and rebalance the skin. The skin is moisturized and soft. Day after day, the skin looks visibly stronger and naturally beautiful. Used with the sorbet creme, this toning lotion improves skin moisturization. Mineral powders help minimize the appearance of imperfections. The powerful prebiotic helps stabilize skin flora, day after day. Jasmine water and mallow offer exceptional hydrating power. Haberlea reinforces the skin's natural defenses. *In use test, 60 Chinese women. For all skin types. Apply as a preparation step for a boosted complete routine. Use daily, morning and night. Shake before use. Apply to cleansed skin using your hands or a cotton pad. 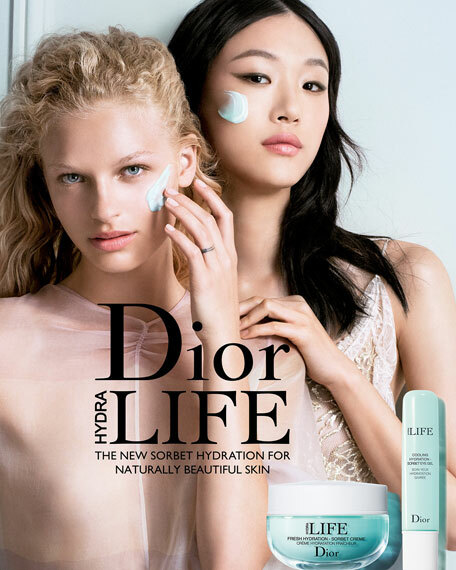 The products are dermatologically tested. The cartons are printed with predominantly natural inks. The cartons are produced using sustainable forest management. This unique, flamboyant purpley-pink flower blooms in the Maine-et-Loire department, in the DIOR Gardens in Anjou renowned for their extraordinarily fertile soil. Cultivated on a 30-hectare estate by the same family of horticulturists for over thirty years, Mallow is extracted using a green processwater extraction, enzymatic hydrolysis... Its efficacy, which remains consistent due to the cultivation and harvesting conditions, has been demonstrated in vitro and in vivo: Mallow boosts aquaporin synthesis to invigorate water circulation.